A spectator mentally selects a famous actor or actress from a list and to imagine scenes from their movies. The mentalist describes the scenes, some of the actor's films and then names the thought-of actor. Spectator writes nothing down and can think of any movie the actor is famous for. Includes a 26 page instruction PDF with presentations, tips and ideas plus nine files to print the various name cards of different actors, including a wallet sized card. Keep one in your wallet or pocket and you're ready to go. Print the names on the back of your business card for a great promotional give-away. 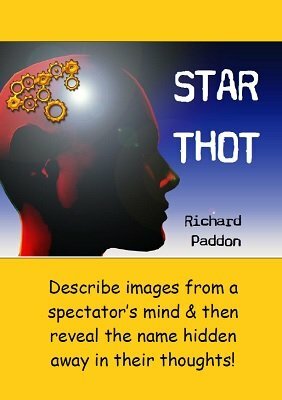 Star Thot can be performed Close-Up and Parlour. A number of variations are included involving two spectators!